Fareeq el Atrash (whose name is a pun on famed Arabic singer Fareed el Atrache) is a Lebanese hip hop band consisting of rappers Edouard Abbas and Nasser Shorbaji, with John Imad Nasr on bass, Ghassan Khayyat aka Goo on guitar and keyboards, and Fayez Zouheiry aka FZ holding it down on beatbox duties. 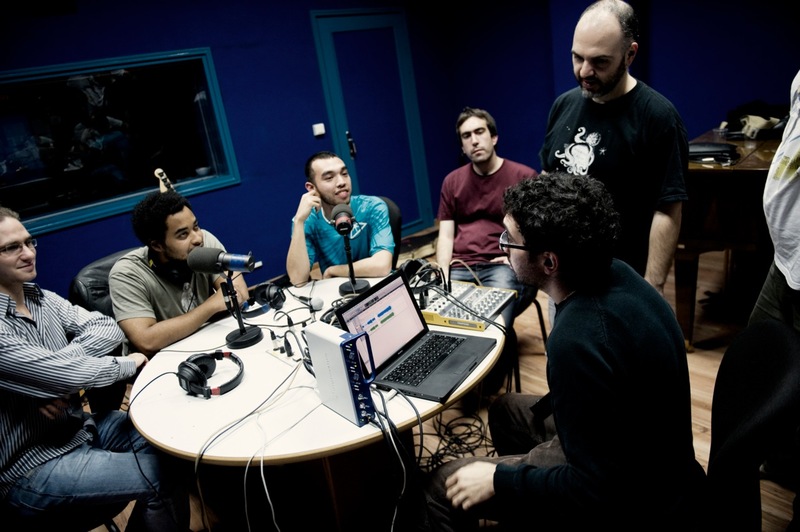 In addition to playing three wonderfully laid-back tracks live in the studios of Radio Lebanon, they offered a selection of their favorite tunes, and presented their upcoming concert at Beirut’s The Basement. 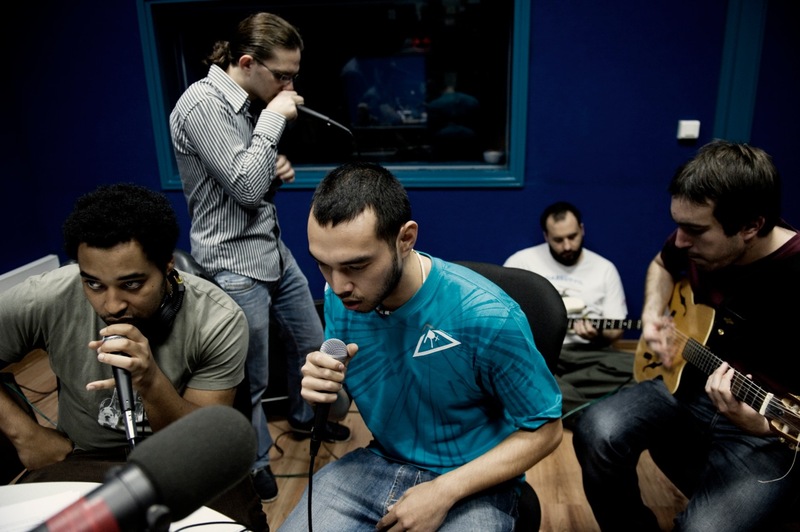 Back in October 2005, the Lebanese funky jam collective Fareeq el Atrash made their live debut at The Basement, and is now primed to return to Beirut’s famed underground venue this coming Saturday, the 7th of November. Fareeq el Atrash (whose name is a pun on famed Arabic singer Fareed el Atrache) is now a live hip hop band consisting of rappers Edouard Abbas and Nasser Shorbaji, with John Imad Nasr on bass, Goo on guitar and keyboards, and FZ holding it down on beatbox duties. The crew’s DJ, Stickfiggr, will be mixing hip hop, soul and funk prior to the show. Expect special musical guests to join the band in their most definitive live performance yet!